VICTOR N. SUGBO	The cultivation of regional literatures may not ask for a grand plan, but realizing this objective requires a concerted effort of our lawmakers, publishers, writers, readers, the academe and media, and our national government. By acknowledging the importance of regional literatures and local languages in the national culture, our different loyalties may be welded, since ethnicities are accorded respect and making national literature becomes a communal project. Finally, in our desire to attain nationhood, something weird took place—our country lost pieces of its cultural memory. It is time to restore those pieces in the voices of our poets and storytellers in the local languages.MACARIO D. TIU The challenge for the educated elite, and particularly for the literary elite, is to return to community. To their respective communities. I suggest that returning to community is the first liberative act that the literary elite in the country must do. Liberate themselves, ourselves, from foreign worldview and language and return to community worldview and language …. It is high time we write stories, poems, novels, dramas directed to our own communities. It is high time we write in our own respective languages. The audiences in our communities are in the millions. Let us reach them. Let us link up with them because they are our roots. Only then can writing be a truly liberative art shared and understood by the entire community. Merlie M. Alunan conceived the idea of Sa Atong Dila while teaching a course in Philippine Literature in the Languages. Upon retirement in 2008, she undertook to formalize the collection of materials she used for teaching the course into an anthology of Visayan literature which teachers in the Visayas, and even beyond, may use for their own classrooms. 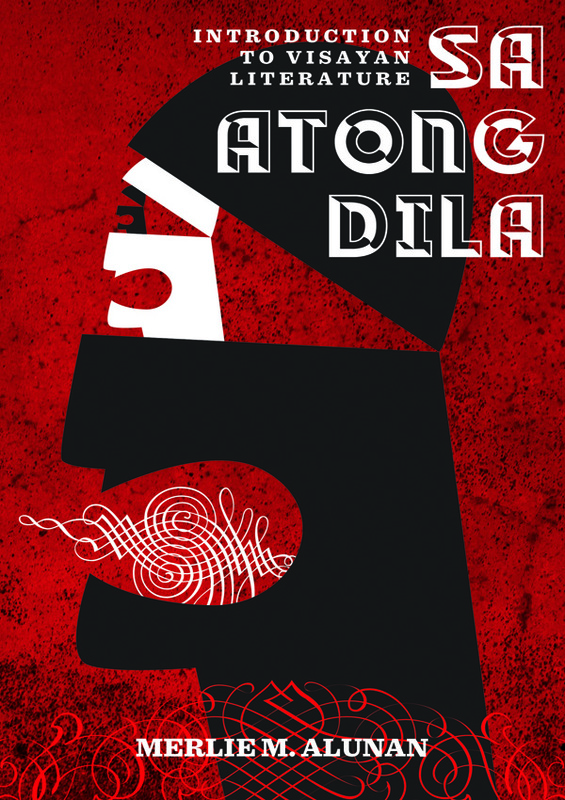 This book, Sa Atong Dila is born out of her lifelong career as a teacher of literature, her familiarity with the many languages of the Visayas, and her work as a creative writer. One of her most valuable contribution to the growth of Philippine literature is her involvement with creative writing workshops, particularly in the Visayas and Mindanao. The workshops she held in UP Tacloban College may be credited with the revival of writing in the Waray language. Alunan writes poetry in both English and Cebuano. She was the 2009 Fellow of the Ananda Coomaraswamy Fellowship for Literature from the Republic of India and was given a travel grant in 2010 to read poetry in seven cities in India. She was awarded the Sunthorn Phu Award for ASEAN Poet Laureates by the Kingdom of Thailand in 2013 and the Ani ng Dangal by the NCCA in 2014. The University of the Philippines honored her as Professor Emeritus upon her retirement in 2008.